The 2014 Big Horn Sheep Hunts were a success! Gary Thomas killed a great ram and got to experience great country and chalk one up on the bucket list. 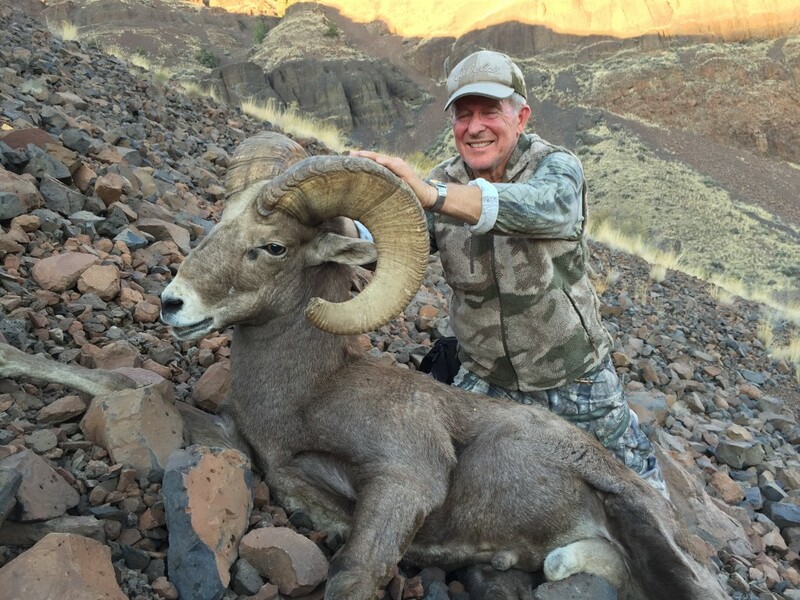 Gary with his 2014 California Big Horn Sheep. Taken in the W. John Day Unit. WVO operates on the permit provided by A. Helfrich Outfitter LLC. Now is the time to apply for the 2015 tags! If you have questions about our hunts, please contact us.